We offer private yoga sessions in either an individual hour long session or a private group yoga. All the prices listed are for onsite sessions at our studio. Please call 937-829-5947 to inquire our Yoga on the Go Program for offsite sessions. In a private individual yoga session the focus will be on addressing the needs of the client rather it be to simply deepen a yoga practice, work on alignment, breathing, meditation, etc. A phone consultation or an initial meeting will be scheduled to address your needs and you will be given a customized yoga practice to take home with you to incorporate it into your daily routine. Private group yoga sessions are great for large parties who would prefer a private yoga class instead of attending our public classes. A group yoga class can be taught in any style of yoga that we teach at our studio including Beginner's, Hatha, Hot Yoga and more. We can also customize a yoga class based off a specific topic or theme such as stress reduction, alignment, breathing, etc.  Please call to schedule a private group yoga session at 937-829-5947. All prices listed are based off an hour session. If you can't come to us, let us come to you! Our Yoga-on-the-Go program allow you the freedom to practice where you want. Let us know when and where and we will send one of our teachers to your location. Whether an office building, retirement community, a church, or a recreational facility. Please call 937-829-5947 to inquire about our onsite Yoga-On-The-Go program.